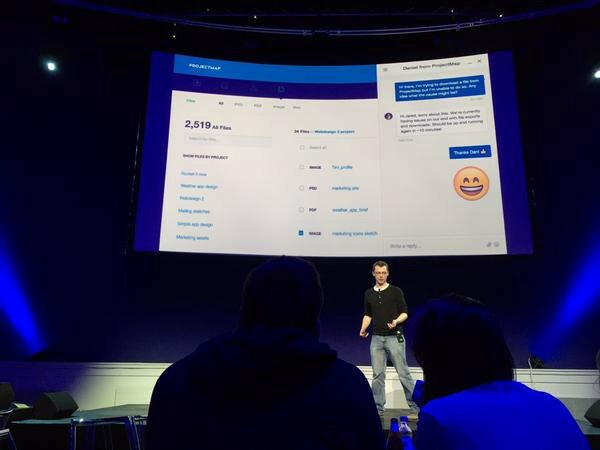 Last night’s Intercom On Product event in Dublin’s Mansion House will live on for some time to come. The famous Round Room was once again host to Irish revolutionaries. The difference now is that these revolutionaries are making a global impact. As Intercom enters a new phase of growth last night’s gig was a timely reminder of what’s made them great. The stars of last night were Intercom’s team. Intercommie after commie after commie revealed how they’ve built Intercom and why. Listening to those commies last night was a humbling experience. People like Darragh Curran, Shellie Fitzpatrick , Gavin Joyce and Eugene Kenny don’t want to be noticed. They’re like great film makers. They don’t want you to be aware of their craft. As they pulled back the curtain to reveal their methods I was awestruck. Not only by their attention to detail but by their speed. They are so ready to scale it’s unbelievable. Intercom have an incredible structure in place built around bullet-proof core values. Intercom’s Director Of Ops, Rich Archibold reclaimed a word last night. He snatched it back from the land of fluff and re-inserted it into our lexicon. He achieved this after he used emoticons to explain how Intercom functions . There was only word to summarise Intercom’s process. As he used it with a smile it was like welcoming an old friend back into the fold. ‘Synergy’ he said. This great term has been mis-used for too long by the un-deserving. Mike Stewart, an engineer at Intercom, unveiled their new video messaging feature. The simplicity of what they’ve created is why it will spread like wildfire. I expect Facebook to have integrated this within a year. To record a video message you press the space bar. To stop recording and send the message you depress the space bar. Beautiful. Genius. Amazing. I love it. Intercom have just made video easier than text. That is revolutionary and will eat the web. Can’t wait to try it and to see how people use it. This is the bomb. Watch it spread. What was humbling was when Mike explained how they made video this simple. Intercom work really hard to deliver a seamless experience. Every browser has specific quirks and teams of engineers toil to make sure we don’t notice. 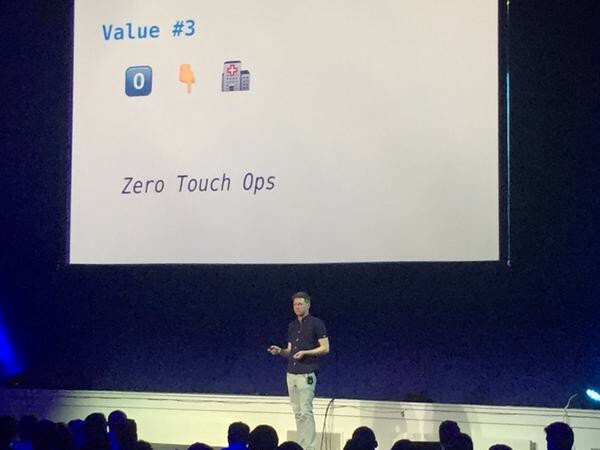 Intercom’s long term thinking was highlighted by Emmet Connolly and Paul Adams. Their presentation revolved around the concept of messaging as a platform. 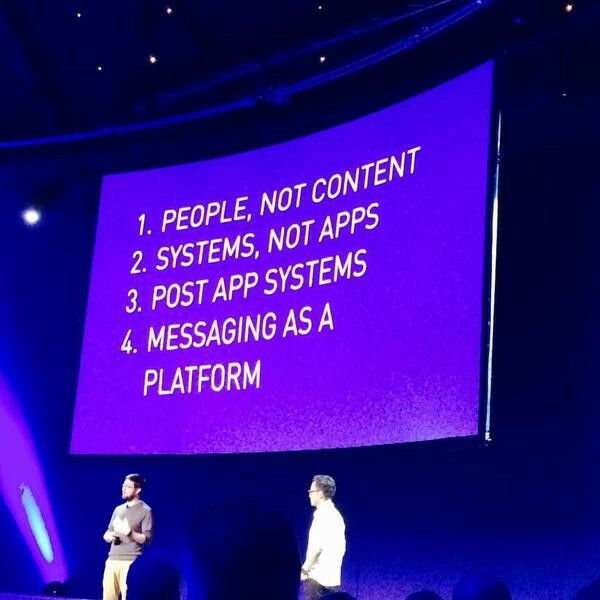 They outlined a future where messaging is the layer by which we access services. The implication was that it’s possible to use Intercom to build these services. Intercom can be that enabling layer. How we access what we need will continue to be simplified. Intercom are perfectly positioned to be a massive part of these changes. I had so many questions answered last night and learnt so much about what makes an amazing team. Intercom also offered tantalising glimpses of how they will evolve. An exhilarating evening.